With the launch of NES Switch Online, I figured this would be a perfect opportunity to rustle up a bit of forum fun. I can't imagine I'm alone in thinking that I wouldn't be getting a lot of mileage out of the score attack focused NES game like Balloon Fight or Donkey Kong, so I had an idea to have a bit of league table of sorts for the forum for different games on the service. The idea is that we'll have a scoring period of around a week or so where we're each battling to reach the top of the high score tables for a particular game or mode before moving on to another game. We'll keep track of the results as we go though to see who's consistently smashing everybody's scores and whatnot. The hope is that'll drum up a bit of chat about the games in question too and should hopefully feel like we're getting our money's worth from the service too! Over the course of us working our way through each arcade classic, we'll have an overall league table. Let's say we'll award three points to 1st place each week, and two and one to our second and third placers respectively. Yeah I'm up for this and here's my score. Good idea, this. I won't be getting involved for a couple of reasons, but I will be supporting the cause. Now, who's the underdog? I like supporting the underdog. Damn it. Didn't think my score would fall that quickly! My problem is that when I get close to beating my high score, I fall out of that zen state of mind you need for games like this and end up thinking about the game too much, which results in me cocking up. It happened with the SMO skipping rope game too. 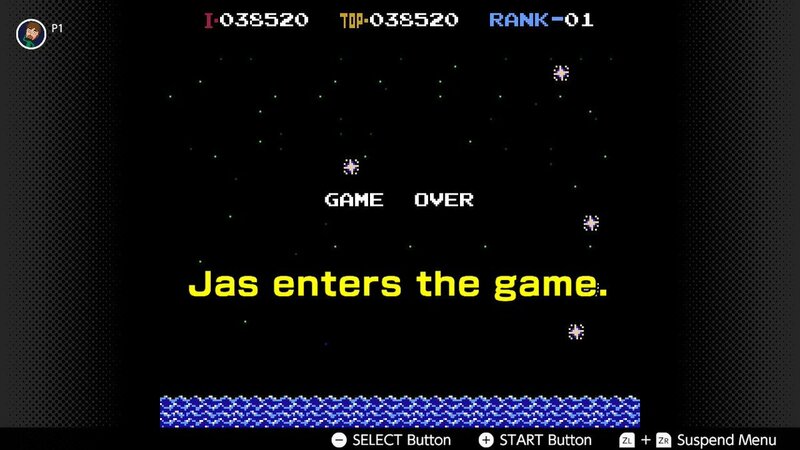 It'll likely forever and always be me as I'm gash at NES games. My closing statement there is correct - tried for what felt likes ages and never even broke 25,000 points, let alone beat my own score or get close to Jas's. Any tips, Jas? Anybody else taking a crack at the bearded wonder's score? 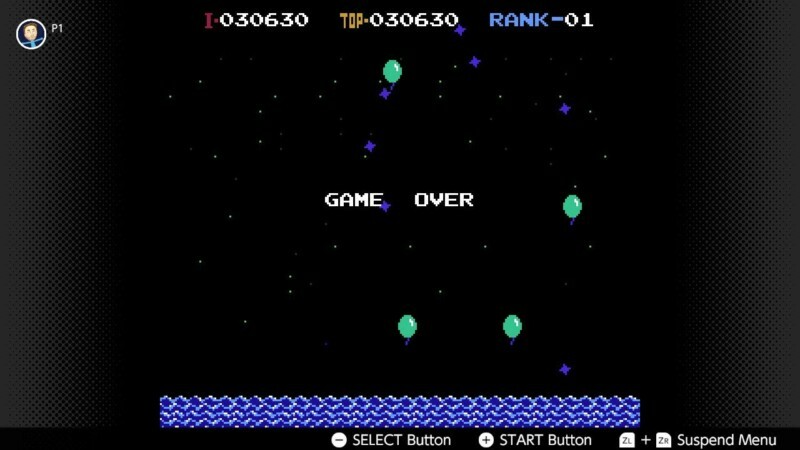 Patience is a big thing to have, I try not to concentrate on collecting the balloons too much as after the starting bit they seem randomly placed so only get ones you are 100 percent sure you can get. Same sort of goes for those pause bubbles never rush to get those as you can often throw off your momentum by getting them at the wrong time. 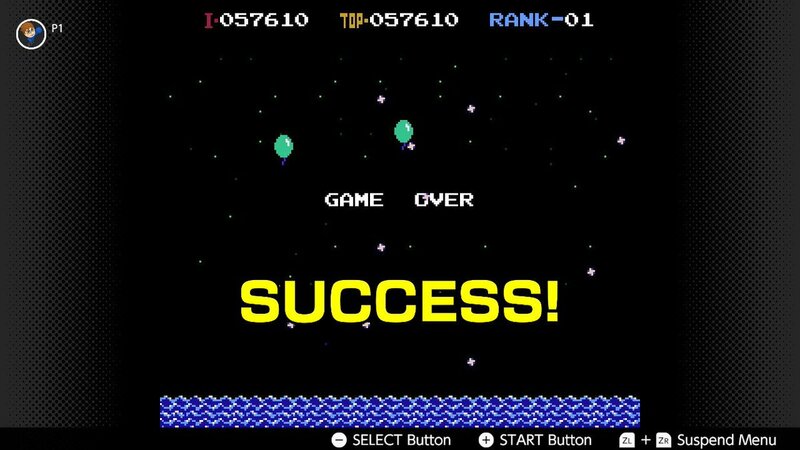 I think that's my problem - I'm trying to get nearly every balloon so I'm playing a riskier game, and I'm not good enough at the game to succeed at my method. The pause bubbles seem to give you more points than the balloons, so I do try to make a point of going for them. It does seem weird, Balloon Trip - it starts off mega-organised and then seems a bit procedurally-generated. But it was programmed by a genius, so that's fine! So far, not above 20000, although I have "finished" the main game (in that I got to the point where the stages loop). To try again! I was thinking this would be a good idea especially with the Switch screenshot feature. I actually saved a high score from my game of Yoshi before even seeing this thread, will have a go on Balloon Fight next though I think. Looking forward to seeing your score, Smurf! Aye, does seem odd, but I suppose that level of random chance does lend itself to an arcade style score attack mode. Post up a screenshot of your score and I'll pop your name into our leaderboard, Jimmers. 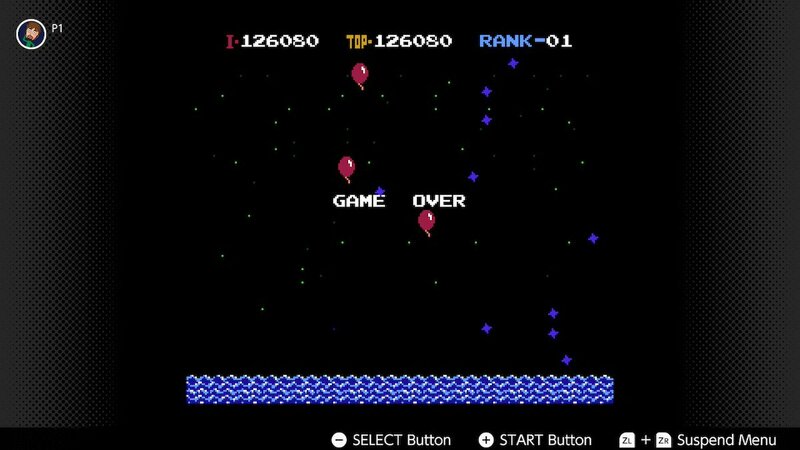 Embarrassingly, the reason I failed on that run was because I collected a time freeze bubble and got too greedy trying to squeeze between two lightning bolts to collect a balloon. Silliness, really. Here's my best attempt so far, I'm struggling go get close to it again though. I said as much to Cappa on Twitter - the only two runs in which I broke 25K were my two high score runs I've posted in the thread so far. I can't explain why there's this wall stopping me from scoring highly consistently. I wonder if there's a certain pattern of sparks that the game throws at you around that point that's trickier than normal to pass? I swear I'm not trying to put folk off but.....I am quite good at Balloon trip. I'm gutted to be missing out on this but i am enjoying watching the highscores on twitter. If it was easy then it wouldn't be a challenge. Quite right. One day somebody's going to bring you down and it'll be all the sweeter. Using my actuarial prediction skills I predict that day will be... (bleep bloop) ...March 22nd 2035. 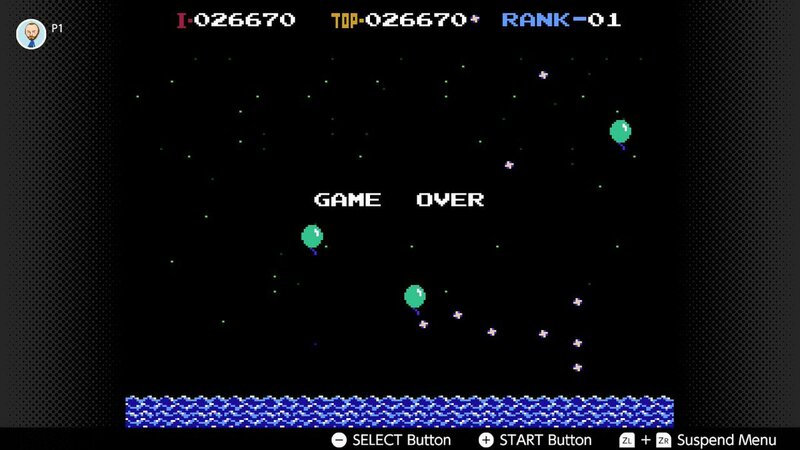 It'll be interesting to see where I end up on the other NES games for the high score challenge as Balloon fight is the only one I've put in any real time into over the years. ...well. I think I'll pack Balloon Trip in for now then! There's no way I'm breaking 100K anytime soon. When do you guys fancy cycling games? I was thinking every week or so depending if folks are getting into a certain game. And how's this going to be recorded? Three points for first, two points for second, one for third, add them up over the course of... how long? Tell you what, I'll throw in some eShop credit for the winner of the 'league', if people can decide on a timescale. Give m'self a reason to follow it. I'd planned to keep this running cycling through different games until the well of score attack NES games runs dry. By my counts, we've got at least 6 more score attack arcade style games in the current offering with more to come no doubt in future. I'm hoping each game will last us one or two weeks each for this thread, so no clue on a timescale! By Christmas, maybe? I like your scoring idea, though. Nice one Duck! Shall I hold off on cycling to the next game until you fire up your Balloon Trip score? And hey, good to see an effort nonetheless from you Jimmers. I'm sure you'll absolutely smash it in DK week or something. I'm happy to pay up if somebody else is willing to pay the costs of Gintendo.